As a quality focused custom builder, Sorento Custom Homes is committed to providing their customers with a hassle free building experience.With the majority of Sorento Custom Homes customers being referral or repeat, Sorento has proven by providing the industry's best product, value and sevice their customers really do come first. Henry's Eavestroughing, located in Red Deer, has been serving Central Alberta since 1980. We are the experts you can count on to get ALL your eavestroughing jobs done right the first time. From our main location in Red Deer and our satellite location in Sylvan Lake, our cheerful office staff work with our customers, fleet of trucks and experienced crews to ensure that all jobs are completed on time, on budget and with the quality standards our customers have come to expect from us. 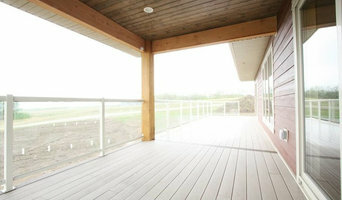 We work in both RESIDENTIAL home construction and renovation as well as COMMERCIAL building construction and renovation. General contracting business based out of Sylvan Lake, AB. Mainly doing larger renovation projects and new construction. Please contact Jonas for more information or to set up a meeting. Since our company started in 1994, we have successfully built over 200 homes in and around Southern Alberta and some in Central Alberta. As we continue to offer a wide range of general contractor services, we maintain great pride on our advanced construction methods, our skilled crew, and services we provide at the highest level of standards. With us, you will work with a receptive team that will endeavour to bring your home ideas to absolute reality – all within reasonable considerations, budget, and time table. Whether you choose one of our terrific house plans or have a custom design for your home improvement, we promise to deliver excellent results with each and every project. 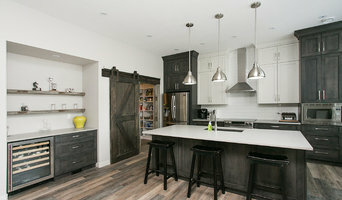 Homestead Custom Carpentry specializes in higher end residential renovations and unique custom carpentry projects in Red Deer and around Central Alberta. With a wealth of experience and a focus on personalized client care, we make it our priority to help you achieve your renovation and home project dreams, and enjoy the process of transformation. At Budal, we build with finesse. Finesse is more than competence, skill or diligence – it's the ability to build exceptional solutions with flair, innovation and speed. In addition to construction, we’re proud to introduce three new categories: Woodworking, Plumbing and Budal Projects. Please check these pages for more information. Bringing these service offerings in-house allows us to have more control and maintain quality assurance for our clients. It’s this extra attention to detail that sets our work apart and keeps our list of satisfied customers growing steadily. General, or construction contractors, are often known as project managers. They oversee the entire remodeling or new home construction project and facilitate all day-to-day tasks that move it toward completion. 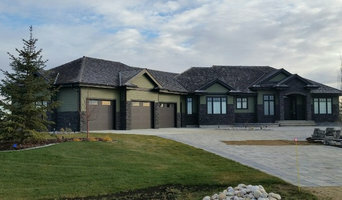 A Lacombe general building contractor will work with your architect to review plan as you build a house and ensure everything is in place before work is started as well as arrange for permits and necessary inspections. While good local home improvement contractors in Lacombe will have the skills to handle certain tasks onsite, such as carpentry, he or she is also responsible for hiring subcontractors for the majority of jobs, such as electrical work, painting or plumbing. In addition, the general contractor should be on-site regularly to inspect the progress and resolve issues. Here are some related professionals and vendors to complement the work of general contractors: Architects & Building Designers, Interior Designers & Decorators, Landscape Architects & Landscape Designers, Kitchen & Bath Designers, Specialty Contractors. Home remodeling contractors are a must for successful completion of a renovation. Because of this, it's essential that you do your homework before deciding on the right general contractor in Lacombe as you remodel or build a house. Inspect bids carefully. Was it ready when the contractor promised it? Was the bid for building a home unusually high or low? Each of these things can be very telling: A late bid may reflect timing standards, and an off-the-mark bid could be code for a pricey premium or a deliberate underbid to score the remodeling job. You should call references, carefully read reviews and visit completed projects in Lacombe, AB to see if they’re what you expect for your job. Once you do secure your local Lacombe contractors, read the contract very carefully to be sure everyone is on the same page. 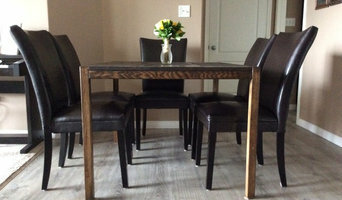 Find a Lacombe contractor on Houzz. Narrow your search in the Professionals section of the website to Lacombe, AB home contractors. You can also search for photos in Lacombe, AB and contact the Lacombe general contractor who worked on the project.